Hey there, all the Huobi Wallet users! 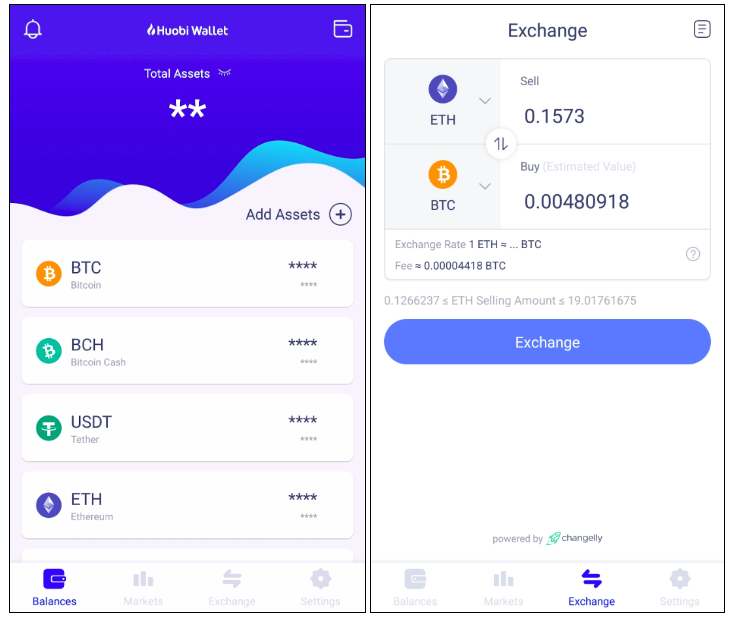 Please welcome our step-by-step guide on how to exchange one’s crypto directly from Huobi multi-asset wallet. Huobi Wallet is a multi-chain asset management tool that provides native support for up to 7 blockchains and all of ERC20 tokens. It is a security-first wallet from Huobi Group, a leading global digital asset financial service provider. 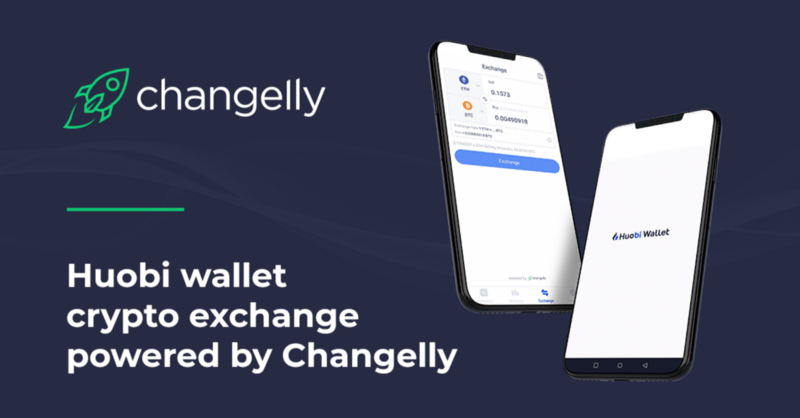 Changelly’s exchange tool is integrated into Huobi wallet and enables its users to easily exchange one crypto to any other directly in the wallet interface. 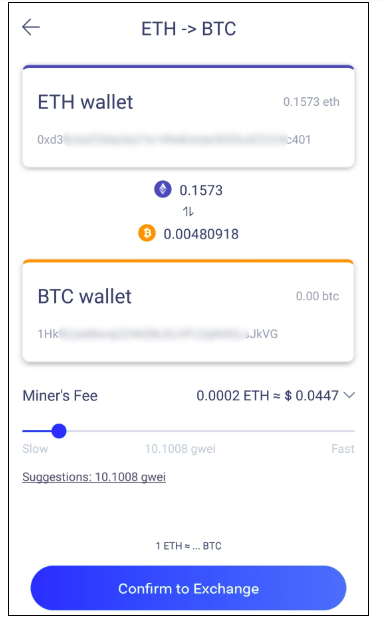 Don’t forget to check and set customizable Miner’s Fee if needed before pressing “Confirm to Exchange” button. What’s important for your assets safety, is that you never need to enter the receiving and send addresses by yourself, which is often a risk of making a mistake and sending coins to the wrong address. When exchanging in Huobi Wallet, the addresses of the chosen assets are automatically filled. 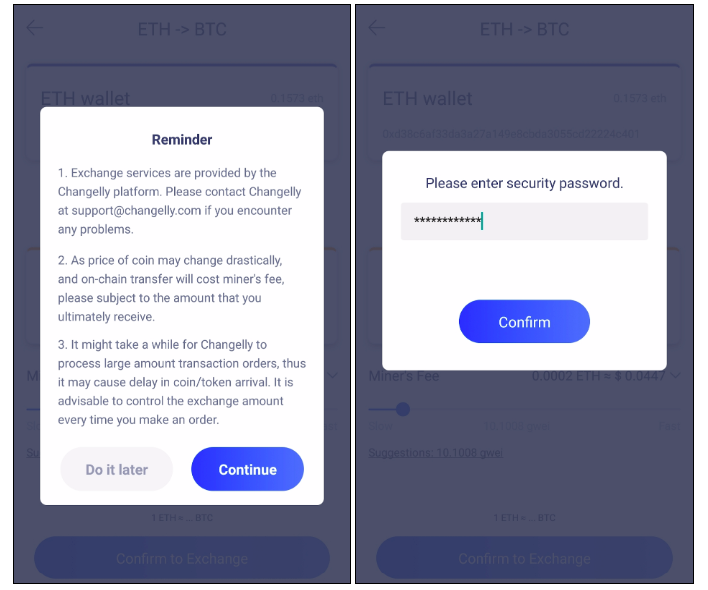 Press “Continue” when receiving a reminder popup box with transaction features, after which enter the security password and press ”Confirm” button to launch the exchange process. 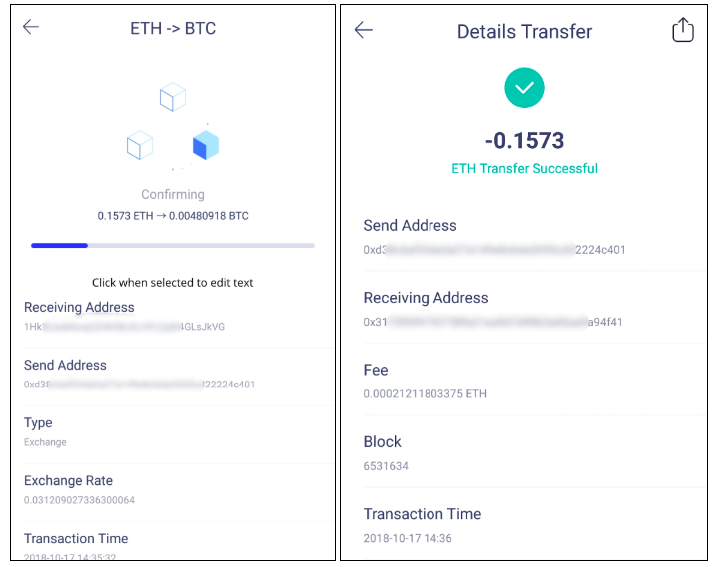 Take a notice, that while your transaction is being confirmed you don’t need to keep the wallet open and check the process every second. As soon as the transfer is complete you’ll get a push notification on your smartphone. Check the amount of received coins and congratulations on a successful transaction, dear crypto-head! It wasn’t complicated at all, was it? Just launch the exchange and keep on doing what you need. 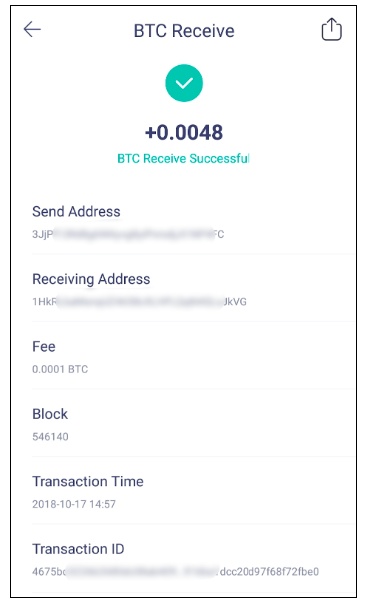 The Wallet will always remind you when the exchange is complete successfully.